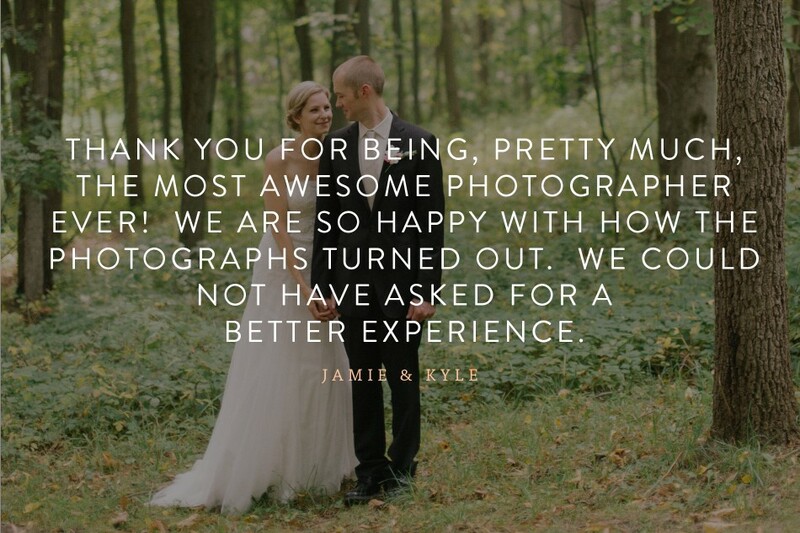 It’s a huge honor to be able to tell the stories of the couples I photograph. 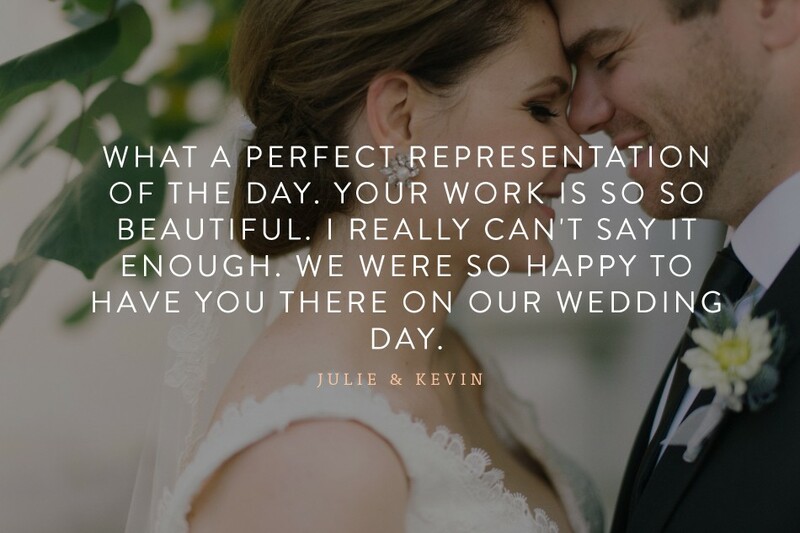 I work closely with couples to figure out how best to fit photography into their wedding day — from mapping good light to planning family portraits to getting hair and makeup camera-ready. 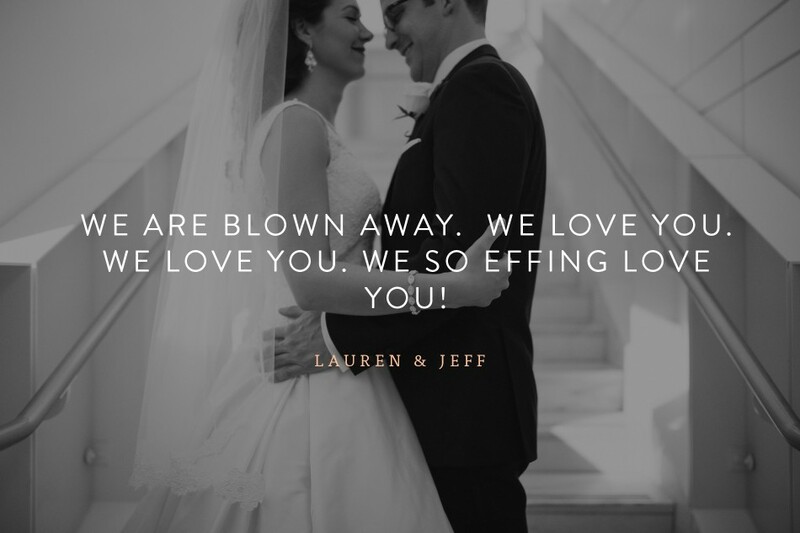 I do all I can to give couples one less thing to worry about — even if that means helping to mend last-minute seams or pin boutonnieres between taking photographs. While weddings were my first love, I’ve come to absolutely adore lifestyle portraiture. For me, portraits sessions can be so much more than saying cheese in matching shirts on a beach (if that’s your thing, awesome, but it’s not what I do best). To me, a portrait session can truly capture a moment in your life: the excitement of graduating from high school, the joy of a new engagement, or the first few nervous days at home with your new baby. These sessions focus on distilling those fleeting moments, so that as time goes by and memories get fuzzy, you can look at these photographs and remember what it felt like to be on the cusp of a new journey, enthralled in a new love, or captivated by your child’s first smiles. Think photojournalism meets fine-art, sophisticated not stuffy. I view each wedding and each couple as truly unique, and am inspired by the people and places I photograph. 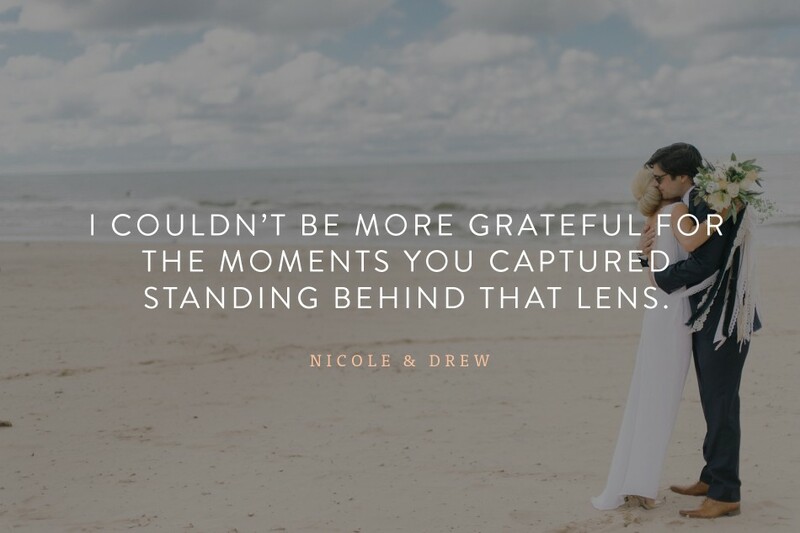 I strive to document the real, honest, candid moments — not just the big ones, but the teeny tiny ones in between. I look for beautiful lighting, honest expressions and creative composition. Most importantly, I believe that by giving couples space to be themselves, we can make magic together. I sure do, and I want capture who you are as a couple. Rather thank asking you two to tiptoe through the tulips in a random pretty park, I like to get to the heart of your love story. I’ll work with you to choose a location or locations inspired by your relationship — maybe the family cabin where you took your first romantic getaway, or the restaurant where you had your first date, or even the library where the two of you first locked eyes. Together, we’ll pick the perfect place. One of the best things about this gig is getting to explore new places, and I absolutely love to travel. 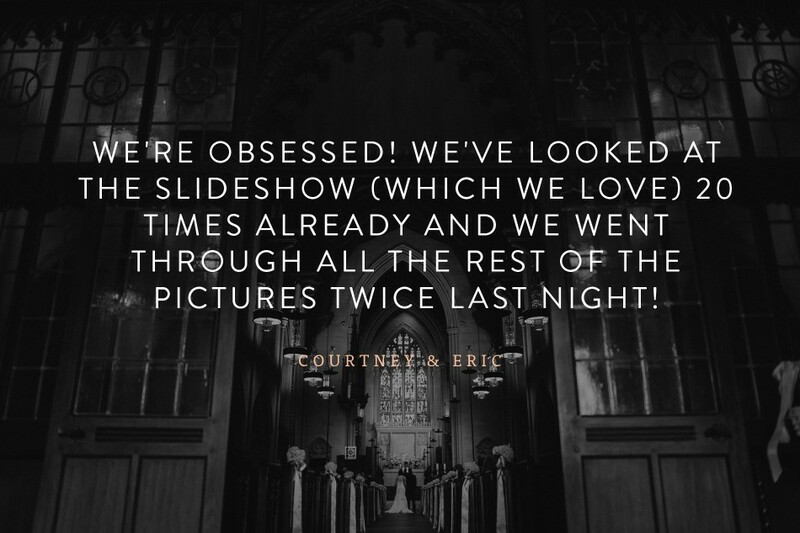 I secretly keep an ever-expanding bucket list of all the amazing places I would love to photograph a wedding. I shoot weddings throughout the great state of Michigan, around the country and even around the world! 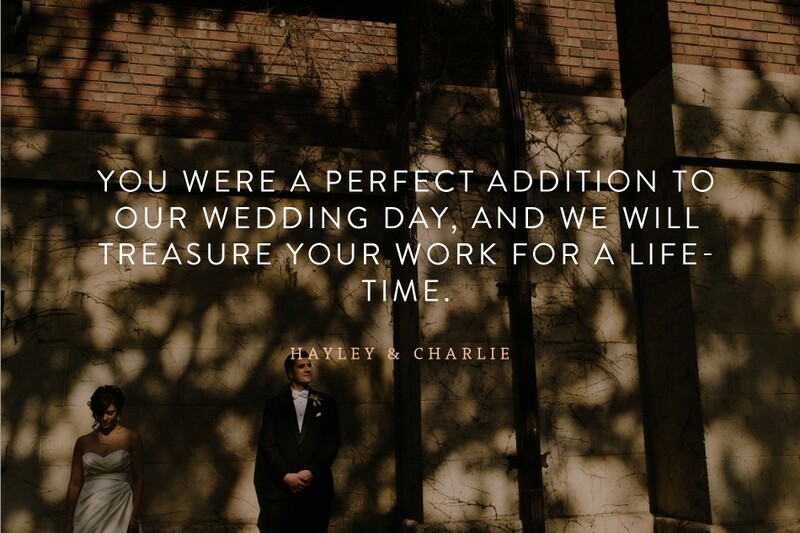 If your ceremony is within two hours of Detroit, travel costs are included. If you’re farther away, let’s have a chat about pricing and logistics. I deliver 400-600 photographs on average for full-day coverage and 250-400 photographs for half-days. Please keep in mind the numbers aren’t totally static. Every image you receive will be edited for color, exposure and contrast to a style similar to what you see on my blog. Typical turnaround time for images is 6-8 weeks, and your high-res files will be available for download in a secure online gallery just as soon as they’re finished. Most of the time, I’m a lone wolf . 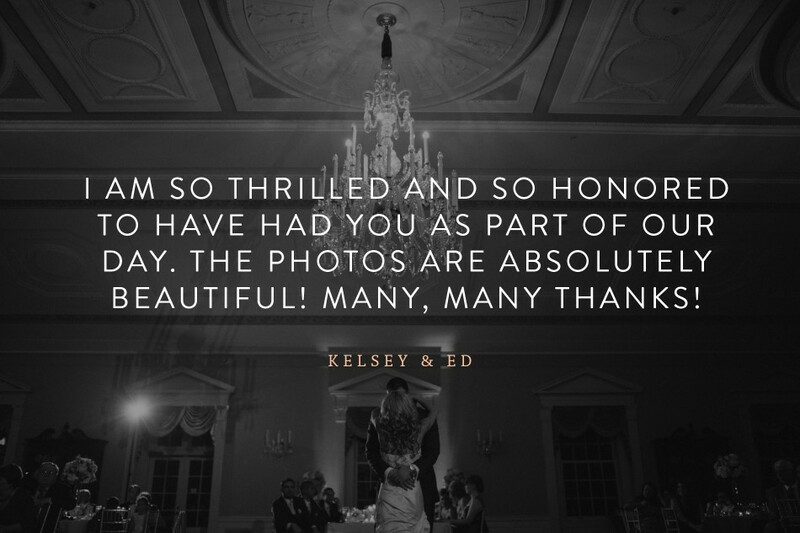 Here’s the thing — I’ve shot weddings both solo and with another photographer over the years, and have learned that I’m better by myself. By myself, I’m on fire, I crush….whatever you want to say, knowing there is no safety net makes me work harder and makes my photographs better. That aside, I’ve learned to recognize certain circumstances where a second shooter would be super beneficial. 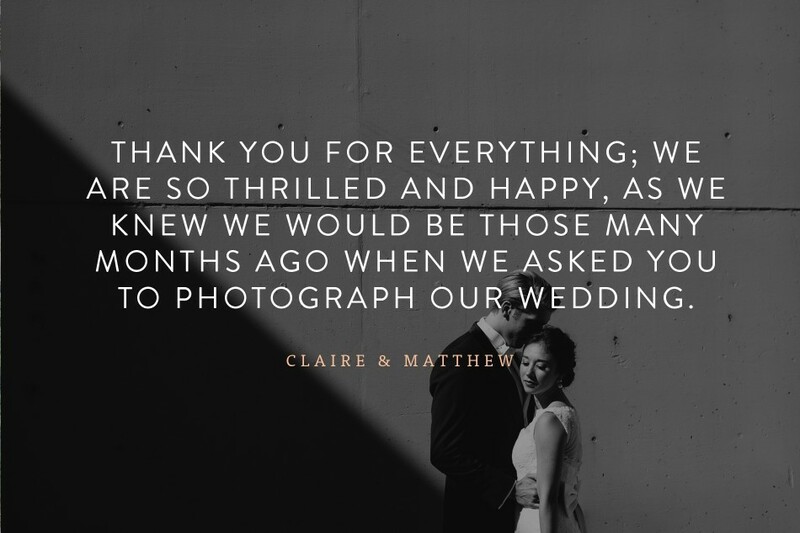 If that’s the case, we will definitely discuss the benefits of adding another photographer to your package before the big day! 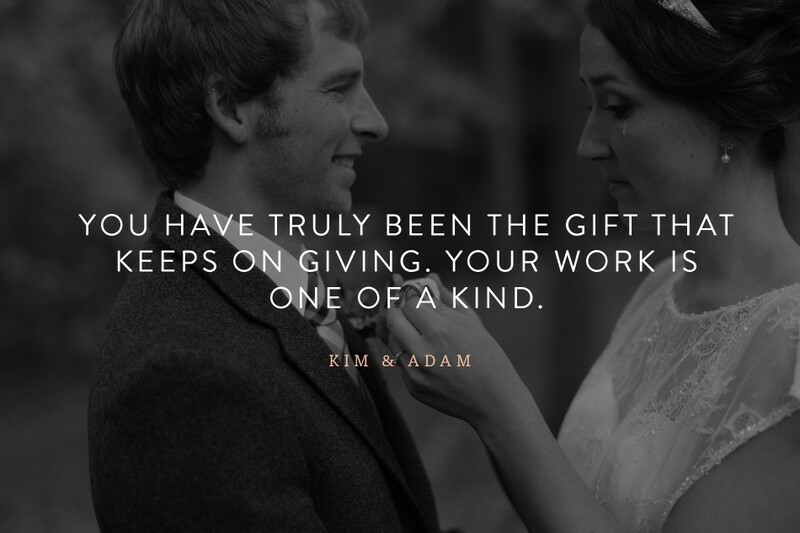 Think of your engagement session as a dress rehearsal of sorts. Say sayanora to the jitters and see ya later to anything that doesn’t work for you. 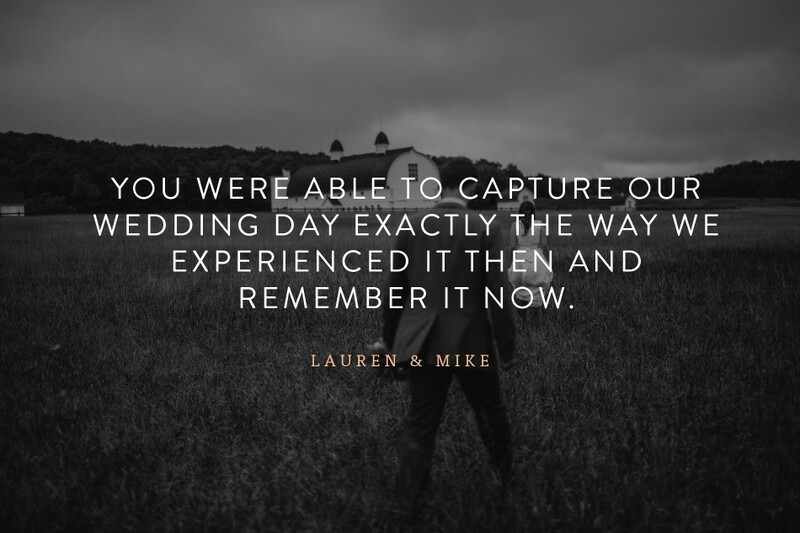 We’ll shoot in a place that helps to tell your love story — the bar where you met, the trail of your favorite hike, or the site of the proposal, for instance. Remember, this isn’t your wedding day. The pressure is off and everyone can relax. Some of the most amazing emotional moments happen here, the full range of laughter to tears. Anticipation is in the air and emotions run high. But keep in mind that this is a candid, low-key part of the day. I might provide a little direction for the big moments, but we’ll keep it pretty informal otherwise. You’ll need space with good light. 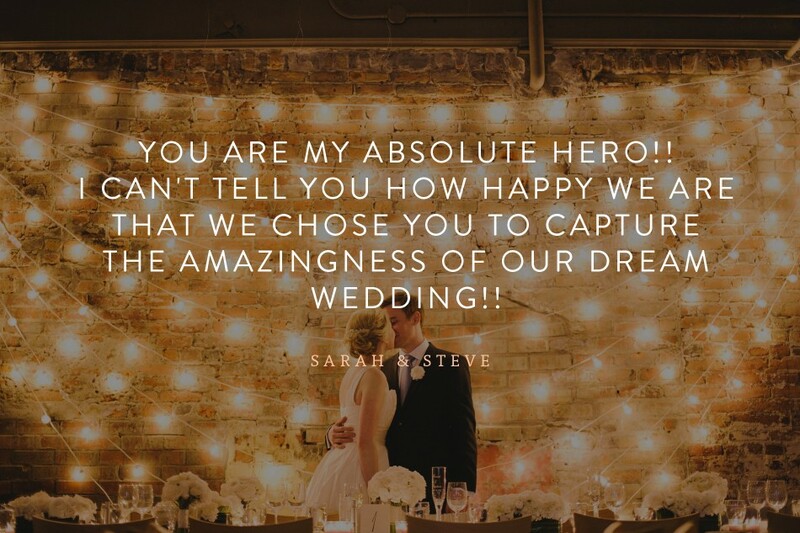 You’ve got a whole team with you – bridesmaids, hair and makeup artists, moms & family members, photographers & videographers. Be sure to plan accordingly. When looking at venues, try to find accommodating spaces that are well lit without interior lights. Think big windows, high ceilings and light colored walls. Also, please try to tidy up 10-15 minutes before I arrive to take photos, unless strewn yoga pants, eyelash curlers and empty champagne flutes are part of the wedding decor you’re going for. Bridesmaids can be walking whirlwinds, so try to manage the mess, for photos’ sake! 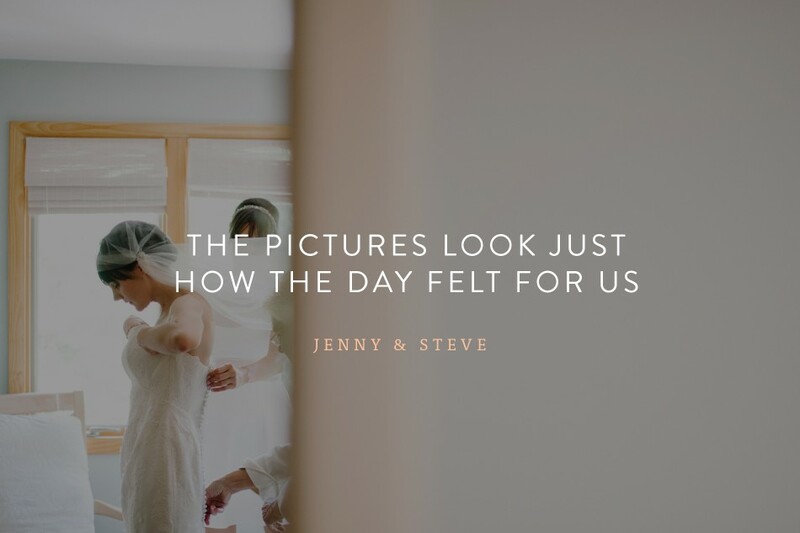 Although it’s a personal decision each and every couple makes, most of the couples I photograph opt for a first look before the ceremony, and there are definitely some pros to a first look and portraits first approach. A first look can be an instant chill pill for you and your partner. The pressure is off and you can move through the rest of the day with ease. I did a first look when I got married, and seeing my husband before the ceremony instantly melted every bit of stress and anxiety I had. Ladies — real talk. 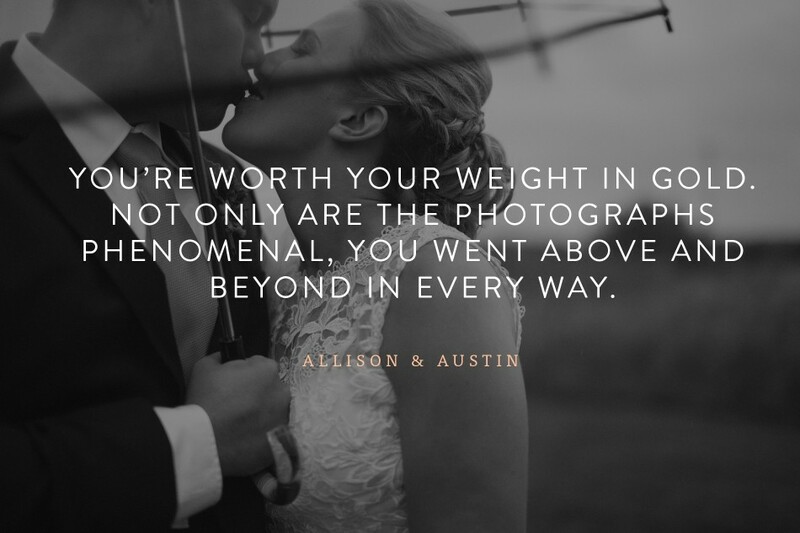 First looks do NOT mean you’ve ruined your chance at an emotional reaction from your man when you walk down the aisle. Remember, when you walk down the aisle, he’s reacting to you and the fact that you are about to be his wife. 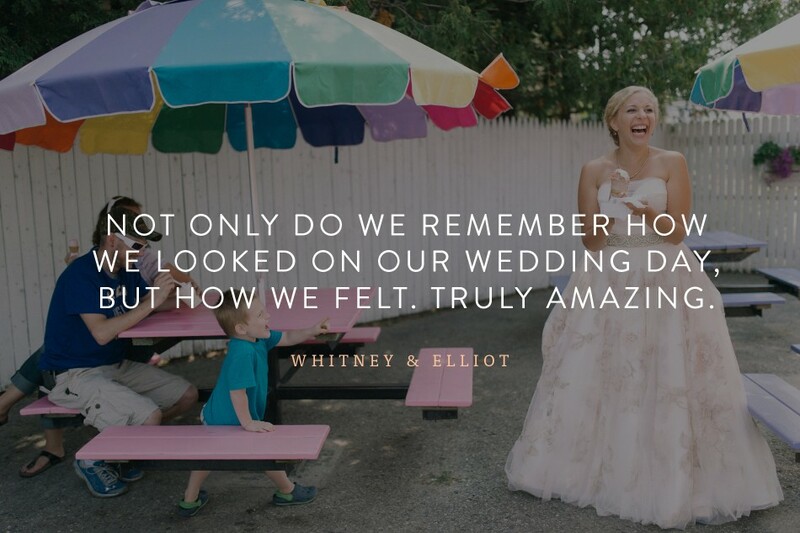 A first look will not erase those feelings. Timing is crucial when it comes to portraits on the big day. In the absence of a first look, we’ll start with family formals, then wedding party portraits, and finish with just the two of you. When you do a first look, we’ll do all that, just in reverse. Oftentimes, it’s a time crunch when we try to squeeze all of these photos into cocktail hour. If there’s a first look, we can skip some stressful moments by planning to split it all up a little bit. We’ll schedule plenty of time away from everyone else for the bride & groom portraits. It’ll just be the three of us, so you’ll have plenty of space to relax, get comfortable and be yourselves together. After all, no one likes cuddling with a group of heckling friends and family around. Portraits with warm, glowing light are often absolutely stunning, so leave some time around sunset to step away and get some of that gorgeous golden-hour light. During fall and winter weddings, this light fades fast. If your ceremony is later in the day, we’ll shoot portraits early on to avoid chasing the sun. And when in doubt, I’ll grab you guys when the light is just right. Church Ceremonies: Make sure you chat with church officials and understand any potential restrictions on in-church photography. 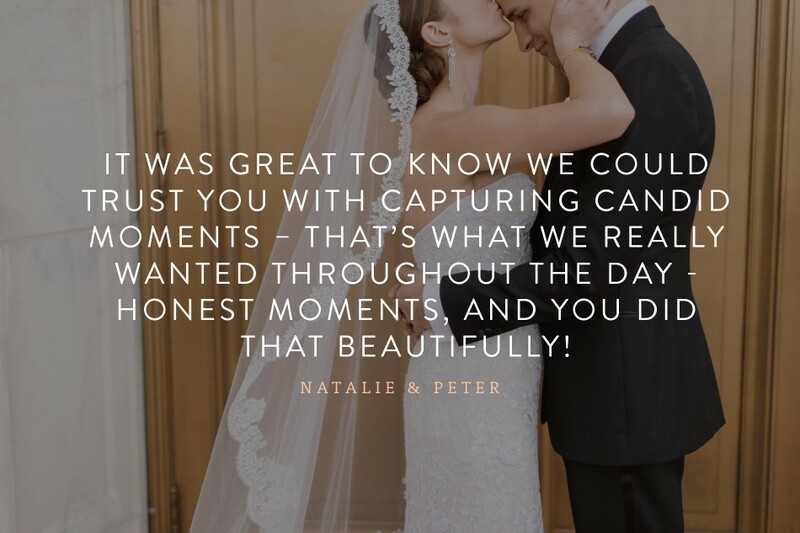 Know what you’re getting into if great ceremony photos are important to you. Some churches only allow photography taken from the back of the church, i.e. no shots of your expressions, while some churches allow no photography at all. Outdoor Ceremonies:Light often plays a key factor in how outdoor ceremony shots turn out, regardless of season. For summer weddings, it’s good to avoid peak afternoon hours (12-4 pm, usually), when light is harsh and temperatures run high. The groom will thank you. Ideal “golden-hour” light is two hours before sunset. Keep in mind the sun sets later in the summer. If a golden hour ceremony doesn’t work for your wedding schedule, try to find a venue with open shade (think shady sides of barns, large trees, etc.) to prevent uneven light and squinty eyes. If no shade is available, always place the sun behind the altar. Make your guests squint, not your groom. If you have formal family portraits in mind, make sure you have a concise list of groupings prepared. In fact, it’s the only list I want from you on your wedding day. In most cases, it’s best to stick to portraits with parents, siblings, grandparents and nieces & nephews. Some family portraits may take place at the altar, but we’ll mostly be looking for spots to shoot with great light and a gorgeous background. Remember, we can always get more informal group shots with cousins and extended family members during the reception without the time crunch. It’s always easiest to corral family members right after the ceremony when everyone is still in one place. 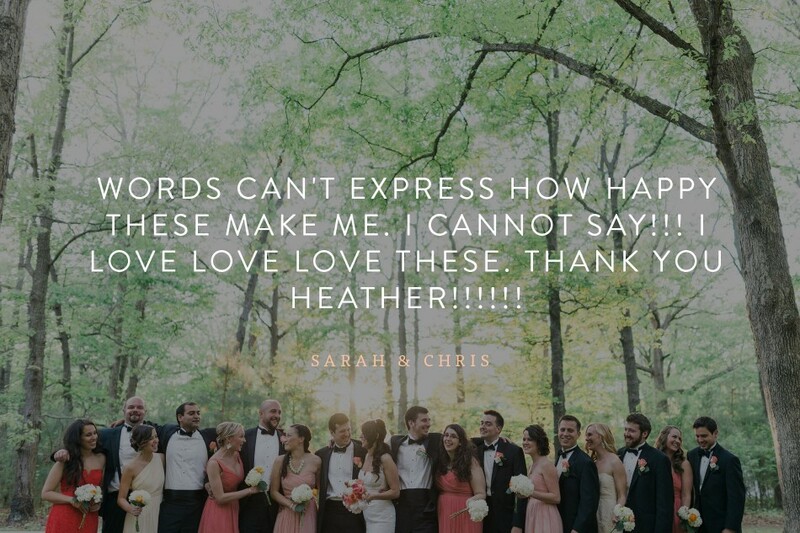 Make sure to tell everyone to stay put post-ceremony to avoid mix-ups and delays. You made it! High five! Reception lighting can make or break the character and beauty to of reception shots. Bistro and hanging lights are great for barns and outdoor receptions, while amber uplighting in ballrooms provides a flattering, warm glow. As a photographer, light is kind of my thing, so when in doubt, ask. If your DJ or band is bringing lights for the stage or dance floor, make sure you chat with them prior to the reception. Please, please puh-leaaaase avoid using laser lights at your reception so that I in turn can skip taking pictures of your guests with red and green dots on their faces.